A prime location between the Intracoastal Waterway and the Atlantic Ocean, a screened lanai with a beautiful pool, rooms filled with sunshine, and a spacious open floor plan —3041 Painters Walk has everything you’ve ever wanted in a dream home! 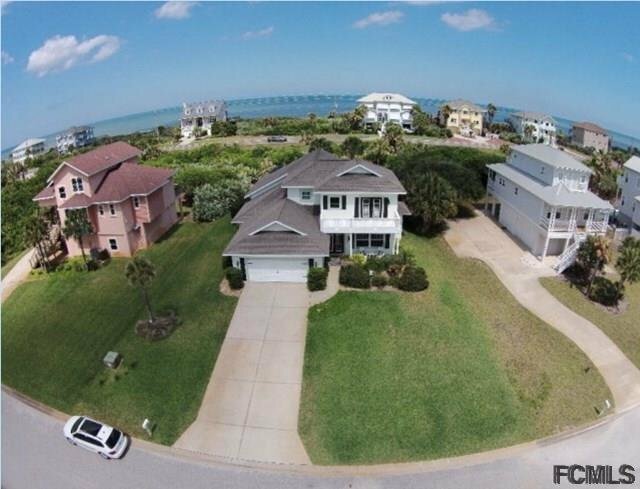 This beautiful Flagler Beach home boasts 2,668 square feet, 3 bedrooms, 3 full bathrooms, and probably one of the best locations in the entire area. We love this home so much that we want to give you a quick virtual tour. If you want an in-person showing, call us at 800.931.2071! 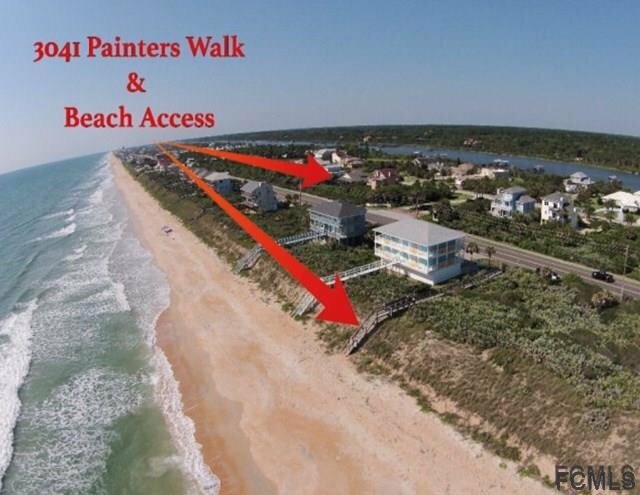 3041 Painters Walk is nestled in the beachside community of Painters Walk, which has two exclusive beach walkovers and a prime location near Downtown Flagler Beach. 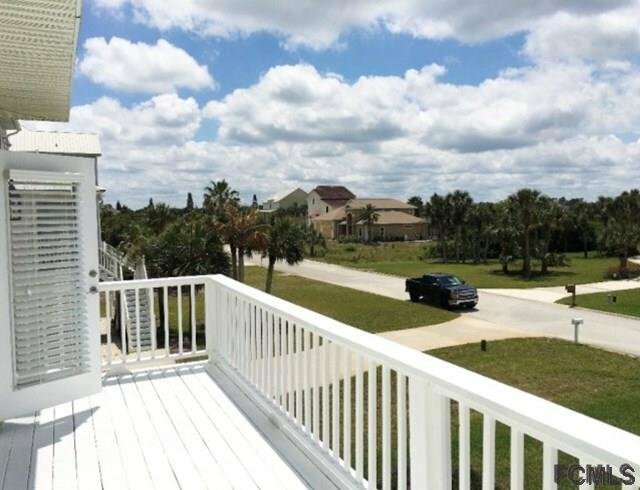 This home is just around the corner from one of these beach accesses, not to mention the beautiful Intracoastal Waterway. Whether you enjoy entertaining guests or relaxing in your home, you can have the best of both worlds living in this Flagler Beach house. 3041 Painters Walk features an open floor plan that fills the home with natural light, so you can take advantage of all the bright sunny days even while hanging out indoors. 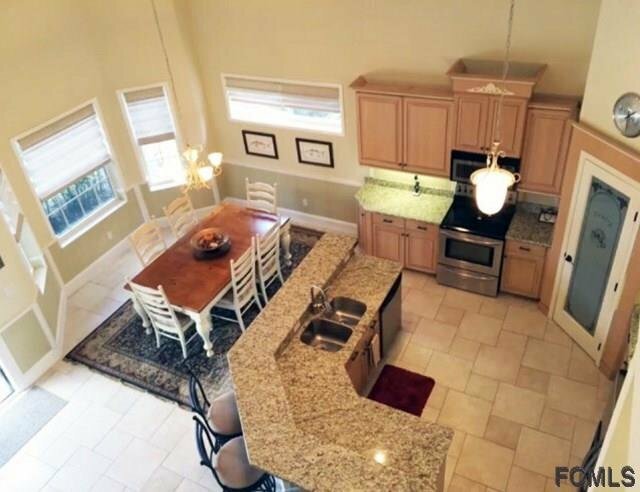 There’s plenty of space for entertaining in this kitchen area! The high-end 42″ cabinets and large pantry offer ample storage for all the essentials, and the angled bar offers a more flexible eating space for sharing meals. The granite countertops are brand new. How’s this for the perfect entertaining space? 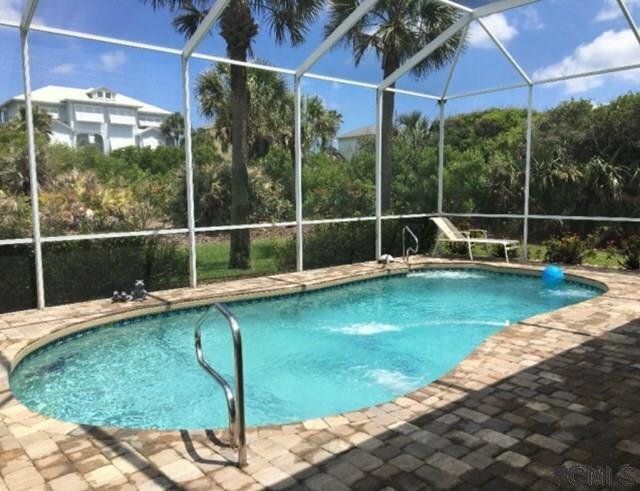 Since Flagler Beach enjoys nice weather year-round, you can soak up the sun any day of the week from this spacious pool. The palm trees and greenery surrounding the lanai add a nice tropical touch. We Can’t Forget About the Scenery! With a view like this, it’s easy to forget that you’re not living on an island. 3041 Painters Walk has a cozy terrace that overlooks the quiet street and the palm trees scattered throughout the community. On sunny days, you can bask outside in the sunshine with a book and your favorite drink in hand. Interested in 3041 Painters Walk? A home like this won’t last long! If you’re eager for your own slice of beach life in Flagler Beach and want to take a tour of 3041 Painters Walk, give us a call at 800.931.2071 or send us a message.